Unspoilt and far from the crowds, Kotagiri is a small town, close to Ooty, and should be the picturesque setting for your next blissful holiday. Heavily commercialised and brimming with tourists, Ooty’s charm has long waned, especially with city dwellers who are looking for a peaceful hideout during the holidays. If you are on the lookout for a place that looks and feels like the Ooty of yore, then, head straight to Kotagiri. Located a little over 30 kms from Ooty, and close to Coonoor, this magical place hasn’t seen the onslaught of tourists, yet. Tea estates and hills, covered in mist, are what meet the eye when you make your way to this picturesque village. 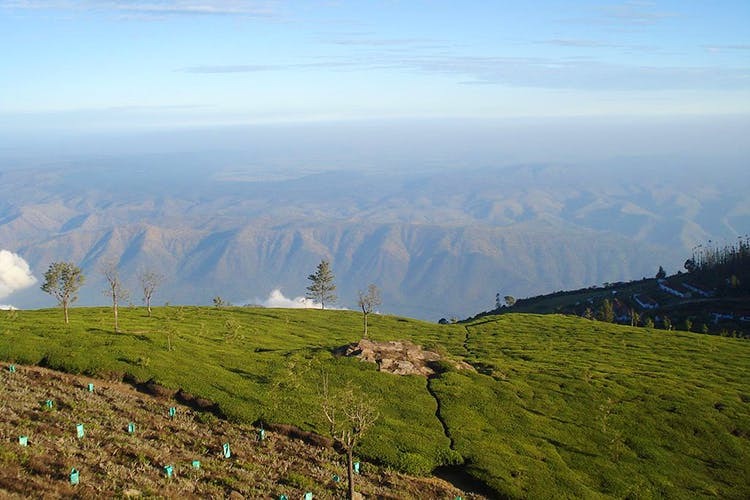 On your discovery of Kotagiri, your first stop should be the Kodanad View Point. You can take a lovely drive there and don’t think twice about stopping enroute for plenty of pictures. At the view point, the mountains gracefully open out in front of you. Kodanad is especially popular for its sunrises so don’t miss it! Book yourself a room at one of the quaint cottages and bungalows that dot Kotagiri and you’ll ensure that you are surrounded by the town’s undeniable beauty at all times. You can also spend your time wandering about the small town. The market area is popular for its traditional bakeries that sell sweet treats like cupcakes and pineapple rolls. You can also spot British-era bungalows that lend the town with an old-world feel. In the recent years, Kotagiri has also become popular with trekkers. While much of the forest area remains out of bounds, you can sign up with outfits like Thrillophilia and Wandertrails for experiences that take you to through the hills and to view the famed Catherine Falls.